FX Harsono, one of Indonesia’s most revered contemporary artists, has been a central figure of the Indonesian art scene for over 40 years. In 1975, he was among a group of young artists who founded Indonesia’s Gerakan Seni Rupa Baru (New Art Movement), which emphasized an experimental, conceptual approach, the use of everyday materials, and engagement with social and political issues. Over the course of recent decades that have seen enormous transformations in Indonesia, Harsono has continuously explored the role of the artist in society, in particular his relationship to history. 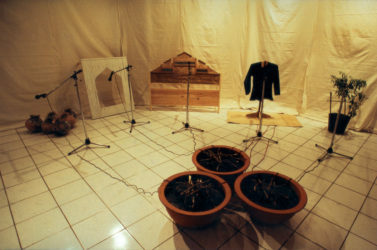 During Indonesia’s dictatorial Suharto regime (1967-98), his installation and performance works were powerfully eloquent acts of protest against an oppressive state apparatus. 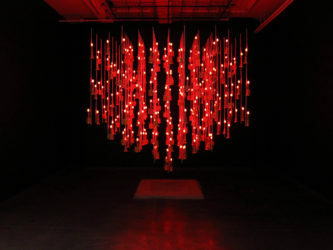 The fall of the regime in 1998, which triggered rioting and widespread violence, mainly against Indonesia’s ethnic Chinese minority, prompted an introspective turn in Harsono’s artistic practice. 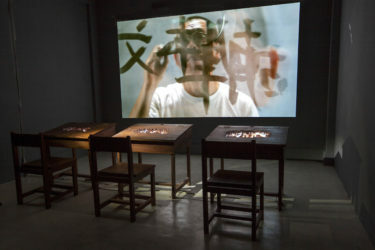 He embarked on an ongoing investigation of his own family history and the position of minorities in society, especially his own Chinese-Indonesian community. The recovery of buried or repressed histories, cultures, and identities – and the part that the artist can play in this process – have remained a significant preoccupation. 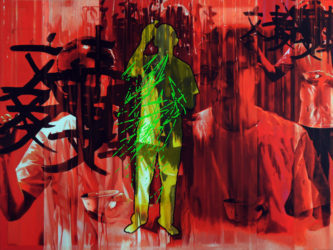 Through looking into his own past, Harsono has touched on concerns that resonate globally, foregrounding fundamental issues that are central to the formation of group and personal identities in our rapidly changing world. In recognition of his decades long “commitment to art and to freedom of expression in art,” Harsono was awarded the Joseph Balestier Award for the Freedom of Art in 2015, presented by the US embassy in Singapore, and in 2014 he was given the Prince Klaus Award honoring his “crucial role in Indonesia’s contemporary art scene for forty years.” His work has been shown in over 100 exhibitions around the world, including the seminal Traditions/Tensions: Contemporary Art in Asia at Asia Society in New York (1996), and the first Asia-Pacific Triennial of Contemporary Art in Brisbane, Australia (1993). 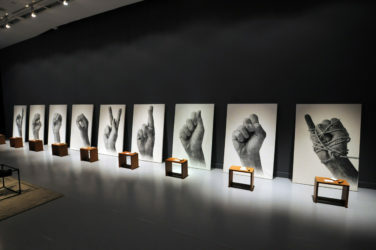 The Singapore Art Museum mounted a major career retrospective, FX Harsono: Testimonies, in 2010. 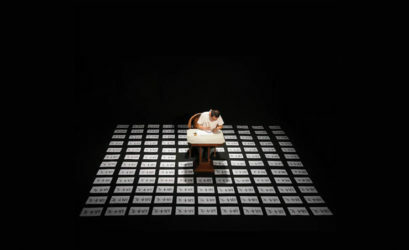 He presented his first solo exhibition in the United States, Writing in the Rain, at Tyler Rollins Fine Art in 2012. 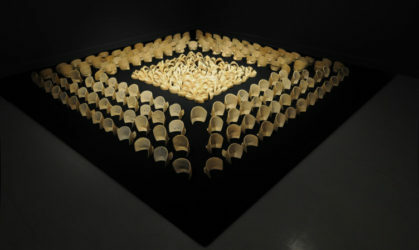 Recent biennials include Indonesia’s Jogja Biennale (2013) and the Sydney Biennale (2016). Please click on the links below to view videos of Harsono and his work.